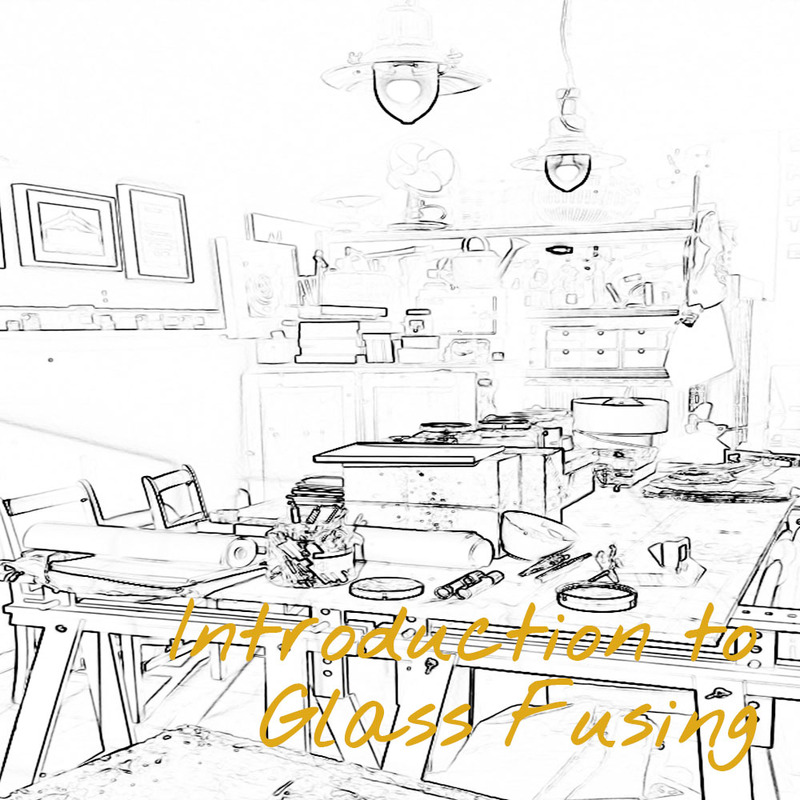 Your first day of glass fusing excellence! Glass Fusing is a fantastic hobby that if you want to commit the time and financial investment can become a source of income for you. To make beautiful items you don’t need any artistic ability, technical skill or knowledge. You can have spent your life immersed in the left side of your brain and will still create the most beautiful items. Left brained people make very good glass artists. A systematic approach helps you document and learn from your experiences. As a result, you will make meaningful change more quickly but whatever your natural inclination you can learn the basic technical skills in a couple of hours and just throwing bits of coloured glass in the kiln will produce a fantastic result. Do not worry if you think you can’t draw or paint you will produce beautiful results. and because the appearance of glass doesn’t change (with a few exceptions) in the kiln then what you put in is what you will get out, except that is becomes all glossy and lovely. The objective of this workshop is that, by the end of the day, you will know how to fuse glass. If you have access to a kiln you will be able to make things on your own. By the end of this day you will have made 4 coasters (9cm x 9 cm) and 2 small square dishes (7.5 cm x 7.5cm) Please be aware that this is a technical course and as such you will be spending most of the morning ‘lecture style’ before proceeding to the practical work in the afternoon. 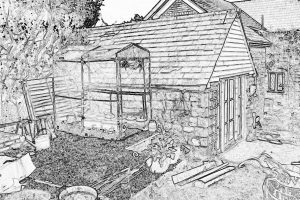 I aim to give you a very solid foundation in glass fusing so you are starting off in the right way. As a result, you have to make the items as described although you will have some choice in terms of colour and design. 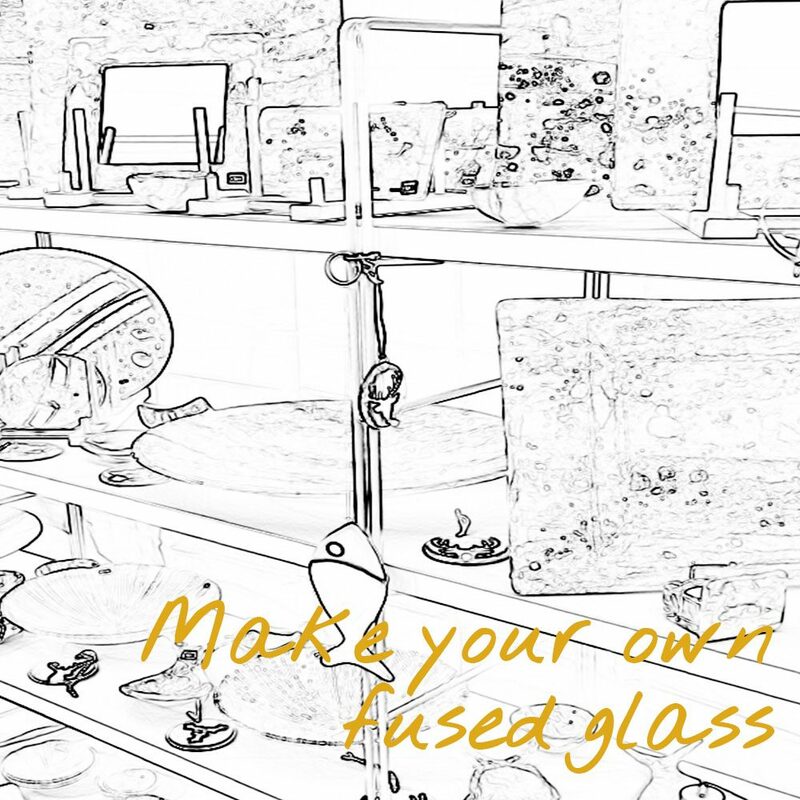 If you want to make something to your own design and play around with glass, see if you like it and so on then I would advise you to attend the Make your own fused Glass item workshop first. You will go away with relevant handouts, lots of knowledge and an invitation to return to either further your knowledge or have a guided studio session when your can develop your skills including mastering firing! As you will discover each item needs to go in the kiln for about 30 hours at least once so you can either collect them at a later stage or I can post them to you*. You are welcome to come on your own or with friends. Each class has a maximum of 4 people so that each person can benefit from individual tuition and of course refreshments, cake and lunch are included! 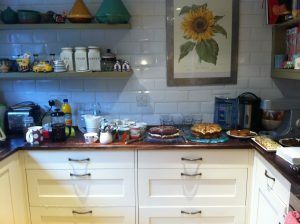 Please note that the facilities are upstairs and there is a small step into both the studio and the house. About me: I have a lot of teaching experience. So not only do I know a lot about glass , in my former life I was a learning and development manager and so you will be in the very experienced and safe hands of someone who loves bringing new skills and knowledge to adults. It will be a pleasure to share this fantastic craft with you. Cancellation terms: If you need to cancel more than 28 days before the class, a 90% refund will be applied. or you can transfer to another date without incurring any costs. If you need to cancel 7 days in advance a 50% refund will be given. After this date no refunds are available. Cancellation of any class incurs a 10% admin fee of the total cost of the class. There are no exceptions to this.